Home » Uncategorized » Why are only women on parental leave? Last week the 1325 team participated in a “consultation between lawyers and young people” made within the UNSCR 1325 project. The consultation where held in Osh city. Some weeks ago Novi Ritm arranged “trainings of trainers” and the next step for these young trainers have been to implement a mini project in their local context. All these mini projects will be implemented in May and we will try to participate and report about as many of them as possible. This project was carried out by Guliza and Dastan, see picture below. 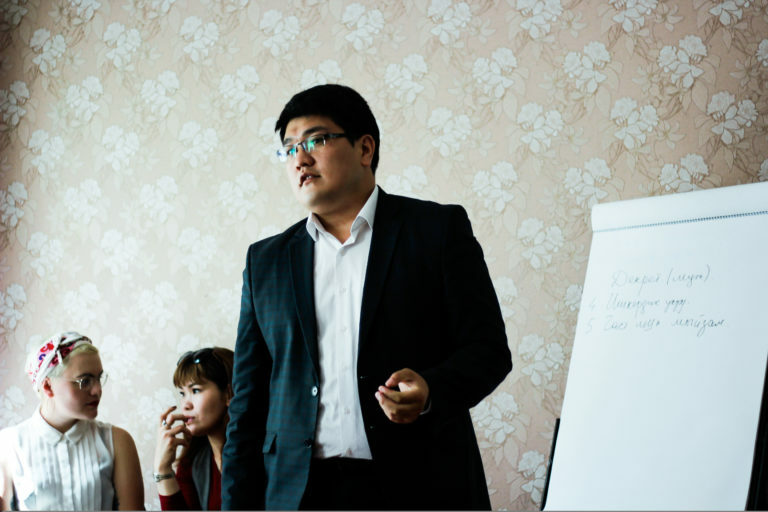 The session between lawyers and young people were mostly about different issues related to labour rights. The participants asked questions in the beginning of the session, such as “why are only women on parental leave?”. They also talked about the Kyrgyz constitution, that all power comes from the Kyrgyz people and that the people are the fundament of democracy. The participants continued and asked the lawyer (see picture below) about which legal rights they have in different situations, for example, one participant exemplified with a governmental working place that does not have a toilet for its employees, was it okay or how could they claim their rights in this situation? Further on, they talked about that everyone has the right to leisure and to be paid for the extra time they’re working (it’s rare that you get paid if you’re working overtime in Kyrgyzstan). They also discussed what boundaries exist in terms of dicrimination connected to job advertisement. Is it discrimination if only men are allowed to apply, or if the employer encourage people of a certain age to apply for a position? Another problem that was pointed out is that children are being exploited for work in Kyrgyzstan. 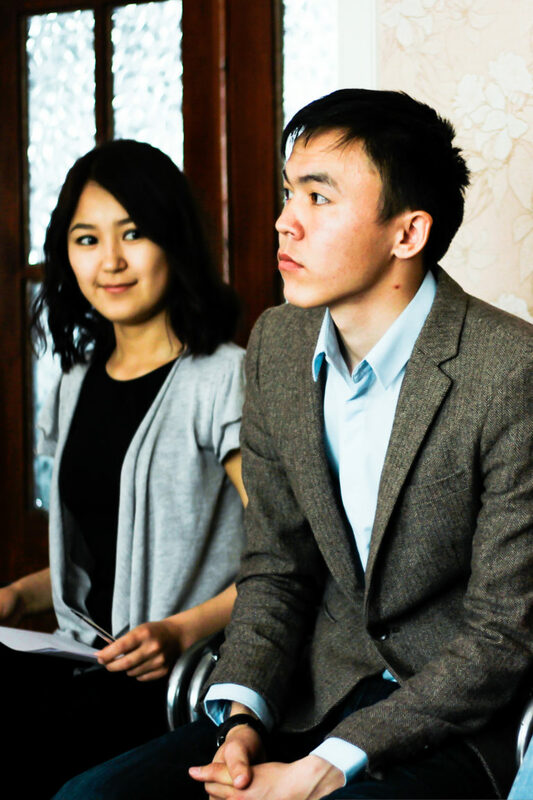 The legal age to start working in Kyrgyzstan is at 16. The session ended with some positive news about the fact that more cases related to labour rights are being tried in court now. 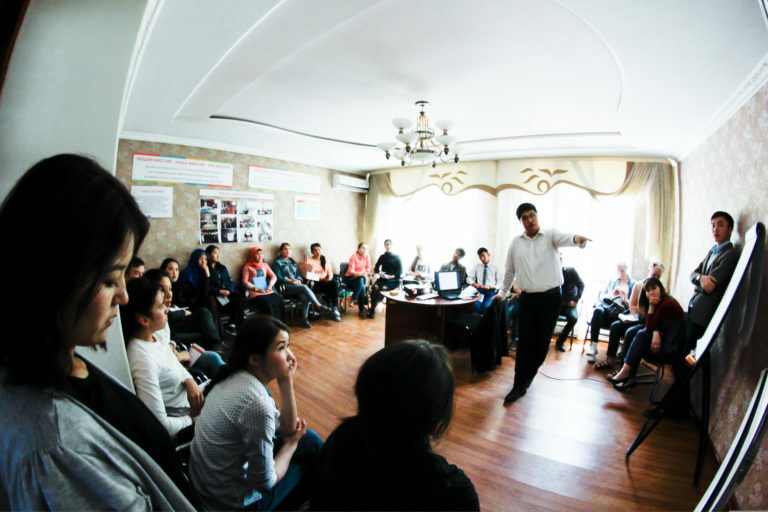 Except for planning and implementing the session between lawyers and young people, the afternoon contained a training about women’s rights. Guliza and Dastan (who are implementing the mini project) will also publish one article related to these themes in the local newspaper. Furthermore they will conduct another training similar to this one at one of their universities. Written by: Emma Lygnerud Boberg, based in Osh, Kyrgyzstan.